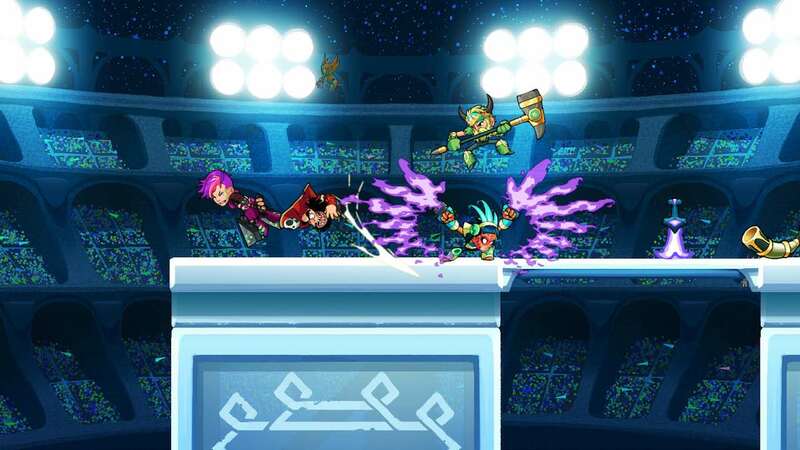 Ubisoft and Blue Mammoth have announced that Brawlhalla will release on Nintendo Switch, the epic free-to-play platform fighter that has already attracted more than 15 million players on PC and PlayStation 4. Odin, King of the Gods, has built a heaven for warriors called Valhalla. On his command, Valkyries, beautiful goddesses of war, scoured the universe for the greatest warriors to fill this hall. To Odin’s surprise, they not only returned with vikings, but legendary warriors of every description, whether that be pirates, cowboys, Mongol warriors, Amazons or even monsters and aliens. But, while waiting for Ragnarok, the warriors become bored. With battles constantly breaking out, Odin, in a moment of desperation, set up the grand tournament. Now, the best warriors from every time and place fight to become champion. You will have the chance to jump into single-player and co-op modes as well as online and local competitions, choosing to brawl as one of more than 40 characters. Brawlhalla will release on the Nintendo eShop for Nintendo Switch worldwide on November 6th.